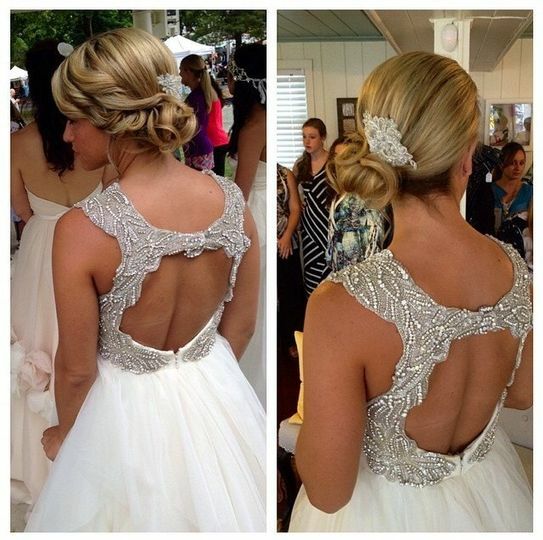 Our bridal salon provides in salon and on location hair services for weddings and other formal events. 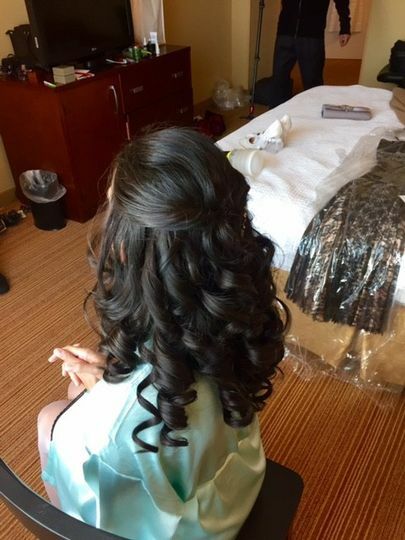 Our team of licensed and experienced professionals cater to our clientele providing the highest quality of service with a professional experience. 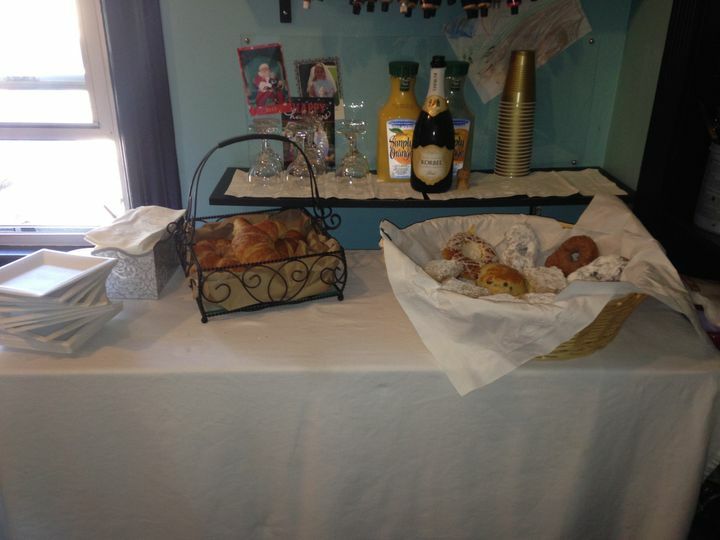 Whether you have a large or small bridal party we can provide in salon and on location services for all. We take pride in being a business that is very involved with our clients form the moment of consultation thru the event day. 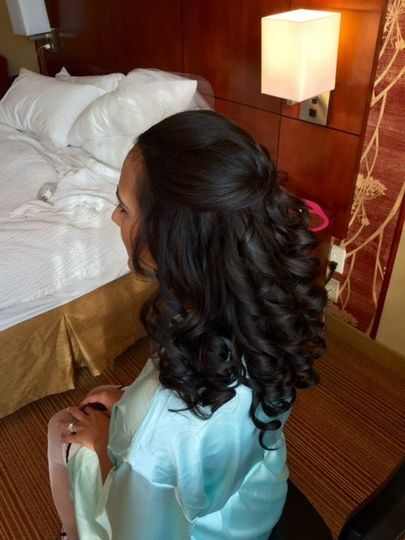 Whether you are a bride looking for a simple style or an intricate style our bridal salon can accommodate you and tailor our services to meet your needs. We want to provide you with a wonderful experience that is unique for you. We thank you for taking the time to consider our business! 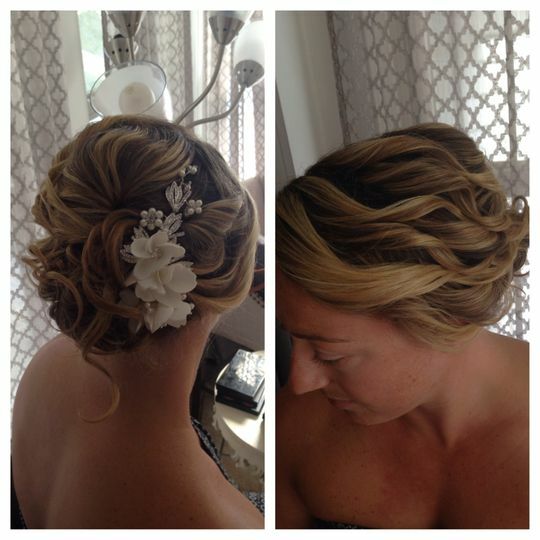 Nicole did my hair and makeup for a wedding I was in as a bridesmaid. I showed her a few pictures of styles I liked and she gave me some great suggestions. I chose an old Hollywood style which I heard can be challenging to accomplish. She did a FANTASTIC job. I got so many compliments! I would highly recommend her if you need to get your hair or makeup done for any special occasion. 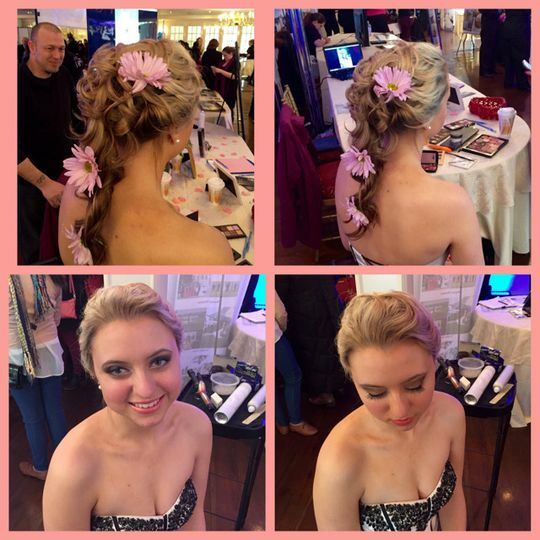 I met Nicole at the Sayville Bridal Festival and loved her book of past hairstyles she has done so I booked my trial! We discussed tons of possibilities and she was so helpful in helping me choose the most elegant and beautiful look for the big day! I looked awesome and booked her for my wedding day as well. 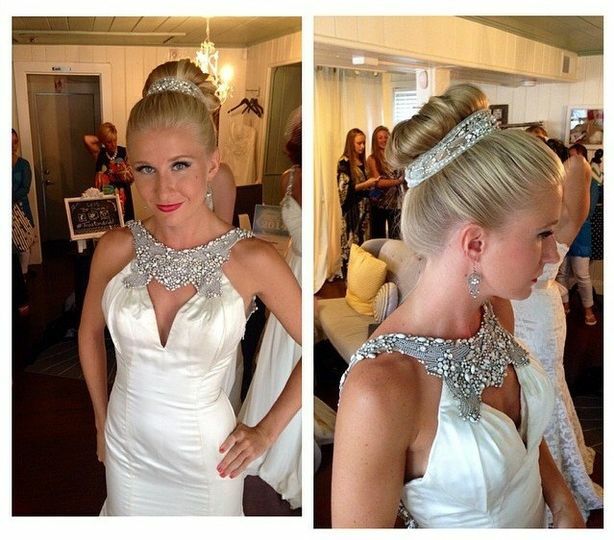 Nicole did another amazing job on my hair as well as making three of my bridesmaids look unique and stunning! 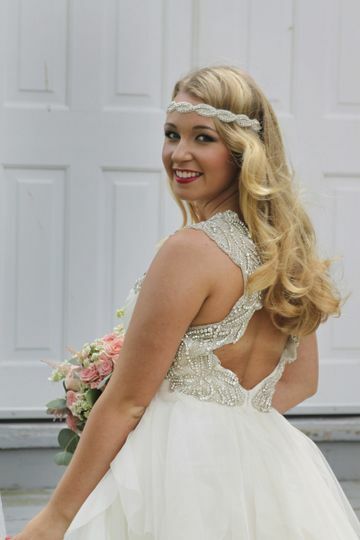 I highly recommend Nicole with Studio 24 Bridal!